What impeccable timing Flickr has. Not even a few hours after I compose an article praising Flickr do I come to find out in visiting the site that Flickr is down. 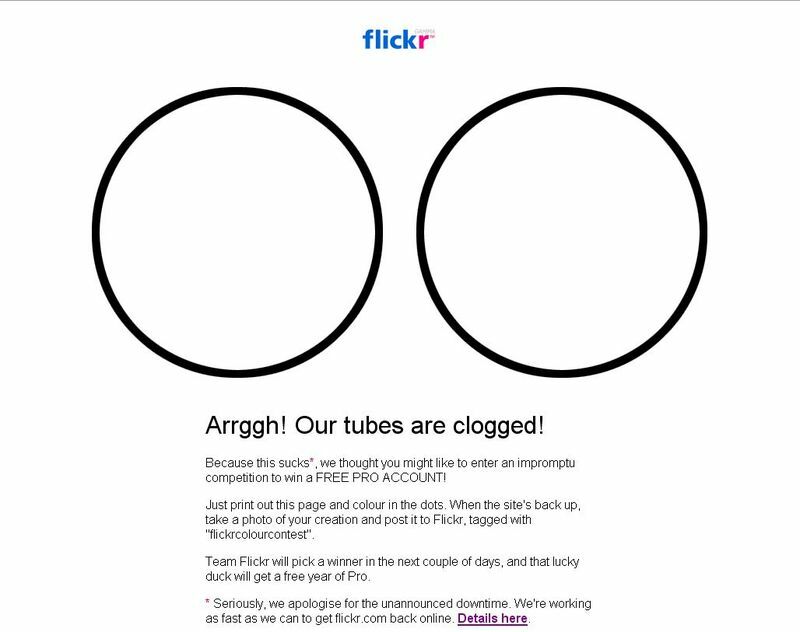 Flickr posted (as shown below) the message, "Arrggh! Our Tubes Are Clogged!" Though I appreciate the humor, I am bummed about the temporary storage failure. I guess both humans and the web are not perfect. Thankfully, photos are safe and have not been lost according to this recent Flickr Blog post.